Out in the rural French countryside, everything is meant to move in slow rhythms. Passive and erudite Martin Joubert (played by Fabrice Luchini) has abided by that bargain. And then this ravishing young beauty, Gemma Bovery (played by Gemma Arterton) steps into his world. Gemma and her husband, Charlie (played by Jason Flemyng) have moved into the little modest house just across the street. Martin can quietly observe all he wants. But he wants much more and, in the spirit of a good Alfred Hitchcock film, he will insinuate himself into the most intimate details of Gemma’s life. The world of Martin Joubert is fairly pleasant. He has all the books he can read. He runs a successful bakery in town with his wife, Valérie (played by Isabelle Candelier). The dynamic between the middle-aged couple is fun to watch. Clearly, Valérie must keep an eye on her daydreaming husband. But Martin is unusually determined this time around. With each new encounter with Gemma, he becomes that much more attached to her. The opportunities to see her when she visits the bakery alone are priceless for Martin. We see in Gemma a delightful young woman but we also accept her as very private. For Martin, he can’t help but see endless comparisons between Gemma Bovery and Emma Bovary, the Madame Bovary, one of the most tragic characters in literature. Thanks to director Anne Fontaine, this film does well with balancing dramatic tension and touches of humor. The screenplay, written by Pascal Bonitzer and Fontaine, is adapted from the graphic novel by Posy Simmonds. It remains faithful to the Simmonds work and adds another layer of menace to the bumbling obsessive Martin. And that is also certainly thanks to the caliber of acting from Fabrice Luchini. His performance makes me want to seek out more of his work. Poor Gemma is something of a goner under Martin’s scrutiny as he reveals to us a less than innocent and quiet young woman. 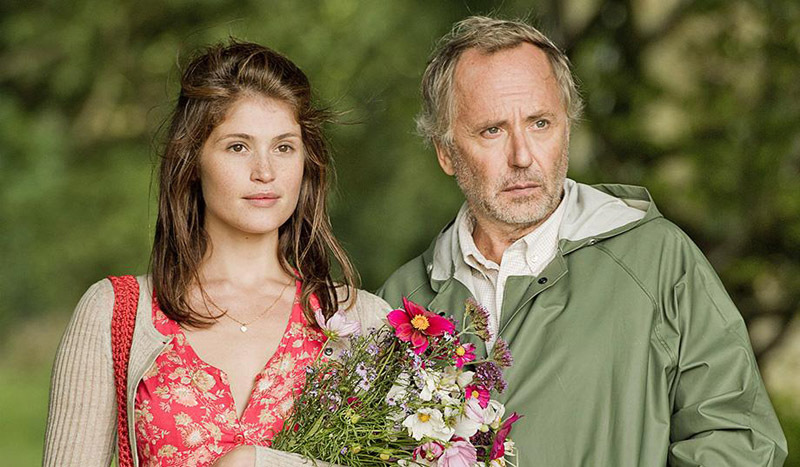 “Gemma Bovery” proves to be a wonderful slow-boil thriller. I couldn’t help but already know about the “Gemma Bovery,” by Posy Simmonds, originally published as a serial in The Guardian in 2000, when I viewed this 2014 film. But there is no reference made to comics here aside from the fact that the story, with all its nuances, provides the backbone for an intriguing tale on screen. This is a great example of how graphic novels are simply another great way to tell a story and you may find the next film you love to have originated from the comics medium. Be sure to check out the work of Posy Simmonds right here. You can find the Gemma Bovery graphic novel here. Sounds like my kind of movie. Thanks for such a helpful and appetising review. Thanks, Anne. Gemma Bovery is a treat I had to share.